Welcome our third Guest Blogger, Michael J. Epstein of The Motion Sick, Neutral Uke Hotel, The Michael J. Epstein Memorial Library, and Do Not Foresake Me Oh My Darling. I'm out of breath. "Hello fearless licorice lovers! For years, I've done my very best to mask my 'unpopular' interests to prevent their prominence from overtaking my songwriting. It has been nigh impossible to stop a mention from sneaking out here and there. Now, these years of suppression must end before I explode! Welcome to Lasers, Longswords, and Lipstick Guns; an opportunity for me to implore you to see the very best and/or the very worst sci-fi (lasers), barbarian (longswords), and spy (lipstick guns) movies and perhaps even tie in ways that they've influenced my music or style." "I feel obligated to start with one of my favorite movies of all time, 1968's Barbarella. The film is absolutely the cream of the crop of sci-fi camp. It's bubbling with the sexual revolution of the '60s, plus lava lamps, shag carpets, and every nerd's favorite: a zero gravity striptease. The props are bizarre, the characters absurd, and the settings are extremely imaginative. Perhaps the best element of the entire movie is its absolutely brilliant sound design. Both the original music composed and recorded for the soundtrack and the sound effects really carry the movie through the silliness. The actors, particularly Jane Fonda, take every moment totally seriously and really sell the absurd snapshot of the '60s very effectively. Heck, the movie contains carnivorous dolls, a musical instrument that produces deadly orgasms, a blind angel, and a death ray. If you haven’t, why haven't you seen it yet?!?!?! The movie also has influenced some of my more current work. When preparing for our first Do Not Forsake Me Oh My Darling photo shoot, my partner Sophia gave the make-up artist a photo of Jane Fonda as Barbarella for reference. Sophia mentioned this in a recent interview she did about her fashion choices for New Brahmin . In a twist of fate Sophia's mention of Barbarella sparked an anonymous fan to create a Facebook page encouraging the producers to cast Sophia in the pending remake of the film! My favorite song from the film's soundtrack is ‘Love, Love, Love Drags Me Down.’ My second favorite is ‘An Angel in Love.'" Each Wednesday (well, you know how musicians are, so maybe every other Wednesday....) the GLG blog will treat you to a Guest Blogger pulled from our creative group of artists who have a lot to say. All the time. Wired magazine's Eliot Van Buskirk recently wrote an informative piece about Spotify who has partnered with TuneCore, a digital music distributor that "allows anyone to sell music through iTunes and other stores for a low flat fee." This is something every independent musician should know about. "Spotify already includes over seven million tracks, including the Pixies, who were signed to TuneCore founder Jeff Price's SpinArt label. This new deal help its catalog continue to expand, while giving unaffiliated artists a new way to reach fans," wrote Van Buskirk. "The popular Spotify music service solved a major problem Wednesday by providing a mechanism for bands unaffiliated with larger aggregators to submit music. In a partnership with TuneCore, Spotify will now allow any recording artist to add their tunes to the service for a low, flat fee." Read the rest of the article here and take notes indie bands! Click Here to Read More.. The Blender Blog's article on "The Ukulele's Unlikely Renaissance" is all in favor of Neutral Uke Hotel's mission to "to unite obsessed fans of Neutral Milk Hotel for a live performance of their critically acclaimed "In the Aeroplane Over the Sea" album, played in its entirety on ukulele" and says, "The album's beloved songs have reached canon status, so why not interpret, and reinterpret, and why not on a ukulele?" Jersey Beat raves about The True Jacqueline's Nice Bird, saying "Oh, yeah baby! Bring it on! You ever listen to an album that’s so delightfully bouncy, upbeat, and flat-out insanely appealing fun that it just makes you wanna say all sorts of wacky nice stuff. Well, man, this is exactly that kinda album." Aol Music is currently featuring Avi Wisnia's Something New on Full CD Listening Party. The Washington Post lists No Second Troy's Iota show on its Going Out Guide. Magnet's MP3 At 3PM posts "California Run" and "Highways" from Neil Nathan's upcoming The Distance Calls. They say of "California Run," "The country-inflected single breezes by like a convertible cruising down the PCH, sounding like a long-lost Old 97’s track that was recently unearthed." Tympanogram says of Neutral Uke Hotel's NXNE performance, "The group is obviously reverential, and they impart their love for an album that was formative for them, and one that they personally cherish in the way they know best. ...not everyone can express their appreciation for them in such a stirring manner." The True Jacqueline's "Monde Green" (from their release Nice Bird) is posted on KEPX's Out This Week and on Indie Rock Cafe. Listen Dammit posts "Song for Adam," a track from Sara Radle's upcoming full-length, Four. Buzzgrinder and Electric Mustache list the release of The True Jacqueline's Nice Bird. Each Friday, hence the name Favorite Friday - one GLG band/artist will send us a list and comments about their "favorites" of the week. It could be a list of albums they are listening to in the van, books they are reading, guilty pleasure TV, and so on. We hope these various "favorites" will give you unique glimpse into the lives of our bands. Click Here to Read More..
A few things occurred to me as I put together my staff infection this week. First off, I was most definitely in an NPR mood over the past week, with soulful songwriters ringing in a resounding theme. Coincidentally all four of the groups I chose are what I am officially coining "and bands". Those bands which are joined by an "and" to make their sound complete. Three that made my list were Ray LaMontagne and the Pariah Dogs, Sharon Jones and the Dap Kings, and Tom Petty and the Heartbreakers. Anyone who knows me, knows how much I love Ray LaMontagne so inspiration hit me right over the head when Paste Magazine posted the upcoming single off his album due out in August. And although Gwyneth & Monko are more country Americana than southern soul, had to add them quite simply because they fulfill my theme of and bands and are most definitely an NPR band. 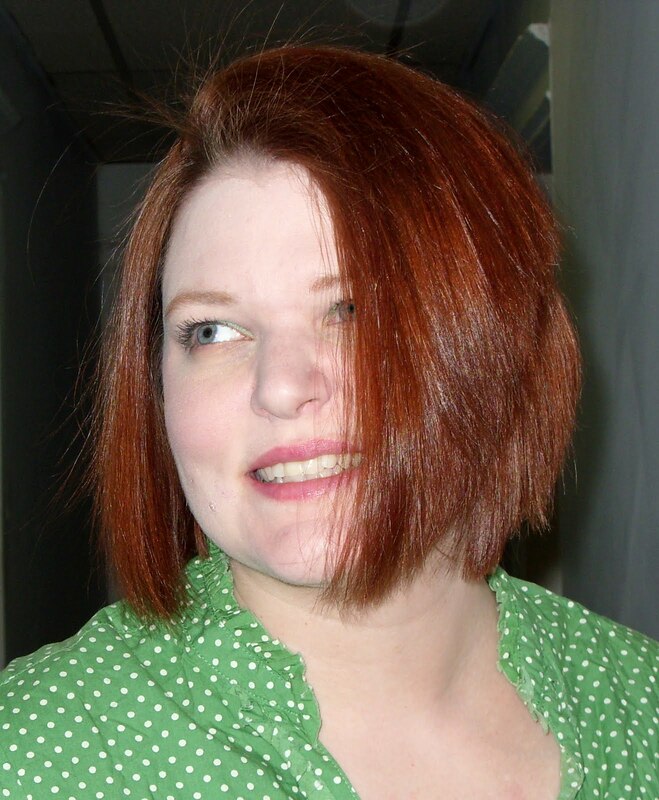 This week: Janelle Rogers, Green Light Go Owner/Music Publicist Extraordinaire Click Here to Read More.. When you’re involved with as many successful projects as Sara Radle, it's hard to get back to the studio to work on your own music. But the former Rentals vocalist has finally done just that, the result being Four, a full-length album due out September 14th. Filled with beautiful, darling pop songs, complete with 60s-girl-group-inspired background vocals, string arrangements and clever lyrics, Radle’s musical career comes full circle. "…It's been a long time coming," says Radle. "It’s special to me…it feels like I’m back on track in my path as a musician. It’s like coming back home." Playing in handfuls of bands, including the current project Walking Sleep, pop-punk band Lucy Loves Schroeder, and The Rentals (re-formed with former Weezer member Matt Sharp), Radle has acquired a whole new arsenal of skills and experience to bring to her solo material. Working at her home studio (Good Kitty Studios), as well as with Grammy-winning engineer, Dennis Moody, Radle was able to work with her songs whenever she liked; trying out new sounds and styles. "The whole recording process was a perfect mix for me – a little Los Angeles, a little Texas, a little studio, and a little home studio," muses the singer/songwriter. On Four, Radle's precious and pure pop voice is showcased in ten gorgeous songs that tug at the heart (and sometimes punch) with strings and lush layers of vocal harmonies. Every song is like a peek into her personal diary; however Radle does not fit into the simple category of girl and her guitar. She is a well-versed musician and arranger who knows how to work with Americana or folk and meld them into one another with pop magic and wonderment. Radle admits she was a bit cautious about re-launching her solo career in Los Angeles (after spending years establishing herself in Texas). But with Four, it’s not so much a re-launching, as it is just the beginning. Introducing another GLG Guest Blogger....drum roll..... Alan Cohen of Alan Cohen Experience! The man is like a walking pop-culture encyclopedia that can crack you up as well as throw some sci-fi, rollicking pop at your face. Need we say more, take a look at his "writer" headshot, which he's "talking to his manager on." Gotta love it. We are pleased as punch (whatever that means, maybe he can tell us) that Cohen will have a monthly column about pop culture. Anything and everything. And so we have, "Pop Goes The Weasel," and Cohen's first stab as a Guest Blogger is nothing but completely awesome fun that would make even a vampire laugh....but probably not Lady Gaga. "As the good Doctor prescribes, this great nation of ours is in need of a good dose of Vitamins to pop (culture)." Vitamin A - Short for Andy Warhol. Yes, with all the political, geographical, and environmental frustrations, we as a people need someone to shoot... pictures of... all the time. Someone ugly that makes us feel that we all can be great! Someone presiding over a drug-induced, extensively productive, proto-hippy, neo-something group hug. Someone who can bring us a band that can both be cool and write great music: The Velvet Underground (Vitamin VU). Vitamin BC - The energy and the feel-better vitamin. Obviously this is for a healthy dose of Bill Cosby. Charlie Brown (Vitamin CB) is the only other person on the face of the earth whose iconic image is so closely tied to a sweater design. One trip to the Middle East, and you will see lot's of mustached men in Vitamin BC fashion. In the desert. They adore him. Vitamin D - The sunshine vitamin. Doo Wop. Feel good music that is awesome and cheesy. Not unlike a good burrito (Vitamin YUM). Frank Zappa tried to bring it back. We need to stop this global obsession with awful club music that managed to fool us into thinking it is "pop." The Drifters are "pop." Michael Jackson is "pop." Coca-Cola is "pop" to the "other" part of the country. Lady Gaga is not "pop," people. Vitamin E - Eddy Spaghetti. Cousin of Riga Tony. Lookalike for Tony Danza. You need a good dose. Trust me. Vitamin BT - Take a bath, stink-face. In a tub. Vitamin TT - Time travel. We need to steal this technology from the Japanese. Aiding & Abetting reviews The True Jacqueline's Nice Bird, saying that it's, "Understated indie pop that never gets too ambitious", and The White Raven's Gargoyles and Weather Vanes calling it's songs, "...quite engaging, but Amy Bennett's vocals are what kicks this over the top." The Owl Mag posts video of Neutral Uke Hotel's North by Northeast festival performance. They said of the show, "The crowd at the tiny bar The Painted Lady sang, clapped and stomped along with glee as the band played the whole album." FensePost reviews The Alan Cohen Experience's track, "Einstein". They call it "a quick and awesome little ditty...". The White Ravens are nominated for a Toronto Independent Music Award in the Best International, Best USA & Best Out-Of-Province category. Bill's Music Forum reviews The Alan Cohen Experience's Space and Time. "...dares to be different but strives to remain musically accessible." Largehearted Boy posts Avi Wisnia and Neil Nathan mp3s. The Jewish Week asks Avi Wisnia about his roots. Today's Modern Pop shows the trailer for Neil Nathan's The Distance Calls. Wildy's World reviews Gargoyles and Weather Vanes, saying, "It's been awhile since rock n roll sounded this fresh or this good....You won't be able to get The White Ravens out of your head." Chromewaves previews Neutral Uke Hotel's set at NXNE. With special guests Alan Semerdjian, Golden Bloom and Featherweight Click Here to Read More.. The White Ravens celebrate the release of the Jim Diamond-produced Gargoyles and Weather Vanes with in-store performances at a bevy of Borders Bookstores. Ann Arbor’s brother/sister indie-pop duo, The White Ravens, will play a series of in-store performances at Ann Arbor/Detroit Borders stores beginning with their CD release show on July 6th at the Downtown Ann Arbor Borders. The show will begin at 7:00 PM, and along with all of the other Borders performances, will be free for all ages. Running a music blog/website ca be a 24-hour job. People like Consequence of Sound's Alex Young don't have regular set hours because if you want to break the latest news, and beat others to the punch, you need to be ready to do so at the drop of a hat. That means a lot of work, late hours and scanning the Internet for new music. Based in New York and Chicago, one of CoS' coolest sections is Festival Outlook; a database that keeps track of all the newest lineup and rumors running around for music festivals all over the world. They must have spies on the inside. Considering how busy he is, we truly appreciate Young answering our questions. 1. How long has CoS been operating? We have been up and running since September 2007. Ironically enough, however, it was never meant to be one... it eventually evolved into. Initially, it was just a hobby, but after meeting Michael Roffman – who is now the President & Editor-in-Chief – it sort of quickly evolved into a full-time profession. 2. What makes CoS different from other websites? I think the thing that separates us from a lot of other websites is our passion. It’s not like we’re making a living off this – at least so far – but we’re still completely obsessed with making sure we are first to report a story, review an album, etc. We don’t have necessarily have hours. Instead, we often find ourselves posting at all hours of the day and night, seven days a week. I’m not sure many other websites can say that. 3. Do you think CoS has a specific musical niche? We pride ourselves on covering all genres, ranging from indie rock and hip-hop to alt-country and electronica. So I don’t think we have a specific niche per say. Arcade Fire, Ra Ra Riot, The Thermals, Beastie Boys, and Kanye West. 5. 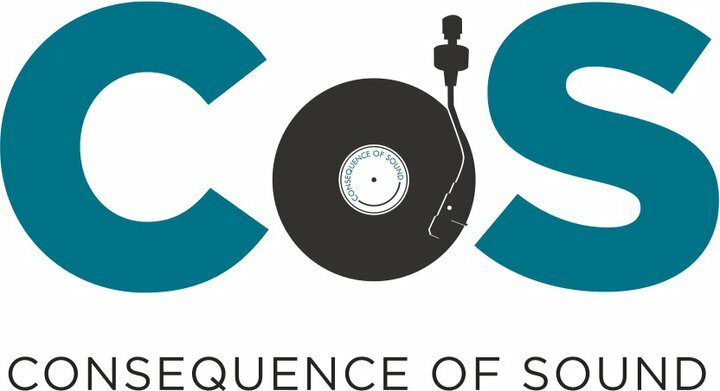 How does CoS support independent music and what is important about doing so? I think it goes without saying that no one buys music anymore. So the best ways to support artists are to do things like buy merch, attend a concert, and telling a friend. So make sure you do that. On CoS, we do things like post tour announcements and provide links to buy tickets and post spotlights about up-and-coming bands. We are also really trying to get into the events business, which would serve as another vehicle to showcase independent artists. In some respects, yes, but I do think both can co-exist. A magazine is a better outlet for feature stories since it’s a more engaging activity to read print on a page than it is on a website. (People on the web have short attention spans.). But I think when it comes to news and learning about new artists, online publications take precedence. After all, a magazine cannot publish breaking news or include an mp3. My favorite websites are twentyfourbit.com (most unique info out there), rockitoutblog.com (only music blog that is also a video blog), stereogum.com (they are some of the most clever writers out there), and brooklynvegan.com (since I live in New York). 8. What has been your most definitive moment since you started at CoS? Standing on stage during Vampire Weekend’s set at Lollapalooza last year and staring out at the 60,000 people watching. Jack White. By far the most interesting musician alive. I would love to write a book about him one day. The Clash? The Raconteurs? The Thermals? Couldn’t choose just one. Like Consequence of Sound on Facebook Click Here to Read More..
"Doomsday Devices" The Motion Sick style, in honor of Mike Epstein and Matt Girard who play with Neutral Uke Hotel"
For fans of: Wilco, Ben Kweller, Click Here to Read More..
Amy Bennett of sibling duo The White Ravens has a very unique way of thinking about the songs that she listens to and how they affect her. Bennett thinks and sometimes talks like a scientist-turned-indie rocker who still has a youthful wide-open view of the world. While we may not understand everything she is talking about; it's completely intriguing to see how music makes the wheels in her head spin. Gargoyles and Weather Vanes is set for release July 6! One moment I’m sitting in a comfortable swivel chair in front of my computer, my cursor descending upon a certain music track in iTunes. The next moment, my lungs are being crushed under layers of sedimentary rock, and something very strange is happening to red bunnies. No, I haven’t gone off the deep end, The Shins have just caused me to involuntarily hallucinate. I like this. In fact, I’d surrender control of my own mind to The Shins’ visually evocative lyrics anytime. I am completing some unrelated, and generally menial task, such as sucking up liquid with laboratory equipment and squirting said liquid into something. This is a comforting task. All is well with the world. Suddenly, something shatters the nirvana of liquid relocation. A sound on the periphery of hearing. It sounds awfully like...buzzing. I look around the lab, to make sure that nothing is quietly exploding. I strain my ears. It hits me: the noise is inside of my head, and has lyrics, too. Witty lyrics. In a whir of synths, I realize that it is “Machine in the Ghost." In the hierarchy of deviously insidious songs, “Machine in the Ghost” has to be at least an emperor. An emperor to which one wants to surrender ones mental territories. Frankly, The Faint, go ahead. Your synthesizers can have my brain. When I listen to “Die by the Drop” I find my feet tapping. Involuntarily. The Dead Weather’s bulldozer of distorted guitars and vocals pummels both not only my brain, but my body into a state of zombie-like entrancement. A parasitic liver fluke worm manipulates the minds of its ant hosts. By day, the ants perform their normal tasks in the ant colony, but during the night, the ants crawl to the tips of blades of grass and wait to be consumed along with a mouthful of grass, by a cow. By toying with the minds of ants, the liver fluke worm finds its way back to the cow, its final host. In “Parasites,” Kahn describes the life cycle of liver fluke worms and two other parasites in gory, excruciating detail, to the sounds of blaring Klezmer clarinet and accordion. If all mind control is accompanied by sizzling hot, gleefully sinister Klezmer music, I say bring on the parasites. If your lyrics are frightening enough to induce phobias in listeners, you know you are doing something right. They Might Be Giants manages to write lyrics that are so mind-manipulating, they instill me with a deep fear. It can only be described in TMBG’s own words: “Words fail, buildings tumble, the ground opens wide, light beams down from heaven. She stands before my eyes.” I don’t know exactly what “she” is. I generally imagine a bear/woman hybrid with sledgehammers for arms. Regardless, living in a world in which I feel empowered by the availability of information, and microwavable chocolate thingies, I have disturbing lack of helplessness and irrational fear. Thank you, TMBG, for providing my brain its daily required dose of pure, visceral terror. Vintage Grindhouse, Blaxploitation, gritty '70s, and B-movie styles all rolled into one. Viewed like a new movie trailer you'd see at the theater, musician Neil Nathan found a really unique and enjoyable way to promote his forthcoming album The Distance Calls. Playing off the vintage Grindhouse, Blaxploitation, gritty '70s, B-movie styles, brought to life by contemporary directors such as Robert Rodriguez, the "film trailer" is like a teaser introduction to the "cast" of The Distance Calls. Nathan teamed up with illustrator Ryan Gaffney (who also did the amazing liner notes for his new album) to make the short film. With a deep soul voiceover, announcing the musicians who play on The Distance Calls, it is only perfectly fitting that the hard-hitting Shaft-narrator is actually Nathan himself. If you are attending this year’s NXNE festival, you’ve got a lot to look forward to. Those of you who aren’t Toronto bound shouldn’t feel blue, and shouldn’t forget this week’s Golden Rule. If you can’t think of anything to look forward to at the moment (other than the next edition of Golden Bloom’s Golden Rules), I hope you find solace in the fact that the not-so-distant future where robots play improvisational jazz is finally here! Click Here to Read More..
Only with Avi Wisnia will you get a concert that includes limited-edition kazoos (! ), Magnolia Bakery cupcakes, and Cyndi Lauper covers all in one night. In his own words, Wisnia shares with us his own personal review of his NYC CD release show for Something New, June 3 at The Triad Theater (national release date for the album is June 29). "One of the many reasons I love New York City: New Yorkers are not afraid to kazoo. I had one of the best crowds I ever had at my CD release party. We started off the evening with a kazoo-along (everyone who attended received limited-edition Avi Wisnia kazoos) to the song "Rabbit Hole." There were even some people who brought their bunny ears from the video premiere a few months back (catch it now on YouTube!). The band and I played songs from the new album, some from my first EP and even a brand new world-premiere of a Cyndi Lauper cover. It helped that we had saxophone, flute, cello and trumpet to round out the evening and make it a huge party." "The vibe in the room was incredible, and the space was the perfect venue for this celebration, though we all agreed that the theater looked like something from the Muppets - and I certainly would not have minded a cameo from Gonzo. We ended the evening with the title track "Something New," with the males singing Chicago, over-lapping the females singing Sade, while the band jammed and wailed on the tune. If it would have fit, I would have invited every single person up on stage. and bless the soul of whoever brought Magnolia cupcakes, which were passed around as we all hung out afterward to party down in the theater. There's nothing I like more than making good music with good people, and New York, you made it one of the most fun shows I've ever played. Thank you, and good night." Brooklyn Vegan announces Neutral Uke Hotel dates. Prefix Magazine deems the Naked Hearts an Artist to Watch, stating "they make bare-bones indie rock more in the mold of the Breeders than the Vivian Girls." StereoActive NYC reviewed their recent album, Mass Hysteria, saying it "left us with a full heart and a happy glint in our eyes." Jewcy profiles Shawn Fogel of Golden Bloom, Neutral Uke Hotel, The Leevees, Macaroons, and The Zambonis in The Big Jewcy. (I'm telling you, this guy has E.N.E.R.G.Y). FernTV asks Shawn Fogel a few questions about Neutral Uke Hotel in anticipation of the NXNE shows. Snob's Music announces the release of Neil Nathan's This Distance Calls due out August 24th. They say of the singer-songwriter, "Nathan is one of the most promising songwriters I've heard in years. His lyrics are clever and he manages to pens hooks that are so sharp you could go fishing with them." Record Dept reviews Naked Hearts album saying, "the entire album is incredibly strong. Alternating turns on vocals, Cooper and Wheeler complement the evocative, grungy guitar lines that sound both familiar and fresh." Faronheit posts Alan Cohen Experience, Neutral Uke Hotel, and Neil Nathan mp3s. Wildy's World reviews Gwyneth & Monko's upcoming EP Good Old Horse, saying "Gwyneth Moreland & Michael Monko carry with them old-time charm that's steeped in the Appalachian tradition. The comparison of Moreland to Lisa Loeb is apt if Loeb lived 100 years ago in the mountains of West Virginia. Don't be surprised if Gwyneth & Monko become darlings of the folk circuit over the next few years." Harris Radio features Avi Wisnia's "New Year" on Podcast #12. Women of Substance plays Gwyneth & Monko's "Lexington Ballad" on their Americana show. Click Here to Read More.. I'm the kind of person who uses music to augment my mood. Feeling down, and I'll throw on "Us" by Regina Spektor and attempt to sing along. Unfocused: Then it'll be Deastro's Keepers to get my nose back to the grindstone. I also love all of the things that technology, social networking and digital devices can do to help me find and share new music. I'm especially in love with the wave of "radio" options lately. If I need music to work by, I just pick a favorite song and off Zune's Smart DJ, Last.fm's radio or Pandora goes. I'm in biz for hours! This week I found myself listening to a mix of new and old favorites. There's Janelle Monáe for flash and slick production (not to mention pure strangeness), Fleet Foxes for just-have-to-stop-and-listen beauty, and buzzy, shouty punk from Dayton's Human Reunion. All manner of sonic Paxil, Ritalin and Prozac lie in the following list. I hope you enjoy these songs as much as I have. Human Reunion, "Dog Bowls" from Carbonics 7"
This week: Kelly Bennett, Green Light Go Publicity Assistant Click Here to Read More.. Follow The Devil Has The Best on Twitter Click Here to Read More..
Brooklyn-based duo Naked Hearts are ready to set hearts and ears on fire when head to the southeast with their fuzzed out ‘90s alt-rock and hypnotic girl/boy vocals. The duo has played shows with the likes of The Raveonettes, The Black Angels, and Evan Dando, delivering a perfectly delicate balance of stripped-down raw energy and moody lush vocals. Listen to "Mass Hysteria" and "Call Me" off of the debut album, Mass Hysteria. Neutral Uke Hotel, "King of Carrot Flowers Pt. 1" Click Here to Read More..
For fans of: The Black Keys, Kings of Leon, Heartless Bastards Click Here to Read More..